Flip a coin, if heads, you die, if tails, your opponent sees nothing but illuminati. You get hit with rainbowz, you are blinded with color and your probz dead naow. 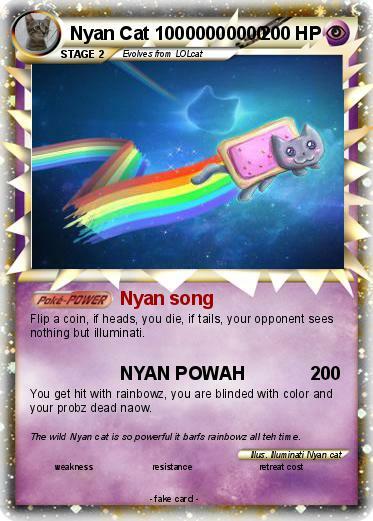 Comments : The wild Nyan cat is so powerful it barfs rainbowz all teh time.